This warm cauliflower, potato and garlic dip is a great recipe for anyone following Dr John McDougall’s Starch Based solution diet. 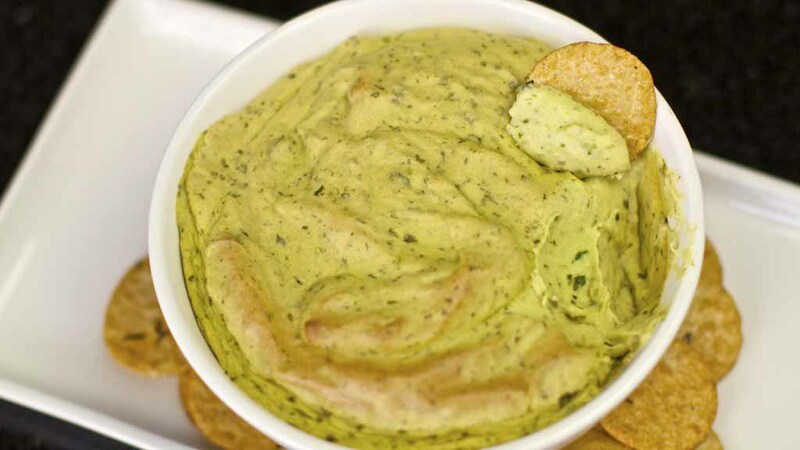 It has no added oil and uses a delicious combination of whole plant based ingredients that blend together into a delicious dip. This is great to serve at parties or even as a substitute for mashed potatoes. Firstly, set your oven to 200 degrees Celcius or 400 Fahrenheit so it can heat up. Blend the main sauce ingredients in a powerful blender until smooth and creamy. Pour the mixture into one or more oven proof bowls. bake the dip mixture for approximately 20 minutes until it develops a nice brown skin. Oh my this looks totally delicious 😀 Thanks for giving the tip at the end of the video for how to make it low fat! Can’t wait to try this. Thanks Sandy. Glad you like it 🙂 More recipes on their way!!! Just discovered your website today! I’ve watched a lot of your videos already and love them. I’ve been vegan for about 3 years now after seeing the Forks over Knives movie. I WILL be making your recipes. Keep them coming!! Cheers! So glad you are enjoying the recipes 🙂 Forks over knives is great movie!! I watched that and read the China study… and changed my life around completely!! I will definitely keep the recipes coming. I just want to say I am a new vegan and love your recipes .. thank you so much you have just made it easy for me.. Plz keep the recipes coming..
Anja, thanks so much for the amazing recipes. I made your coleslaw recipe for a dinner party I gave…everyone loved it…even the guys who didn’t like ‘rabbit food’ as they said. I also made your potato salad recipe and that went down a storm too. Keep the recipes coming. Wishing you all the very best.